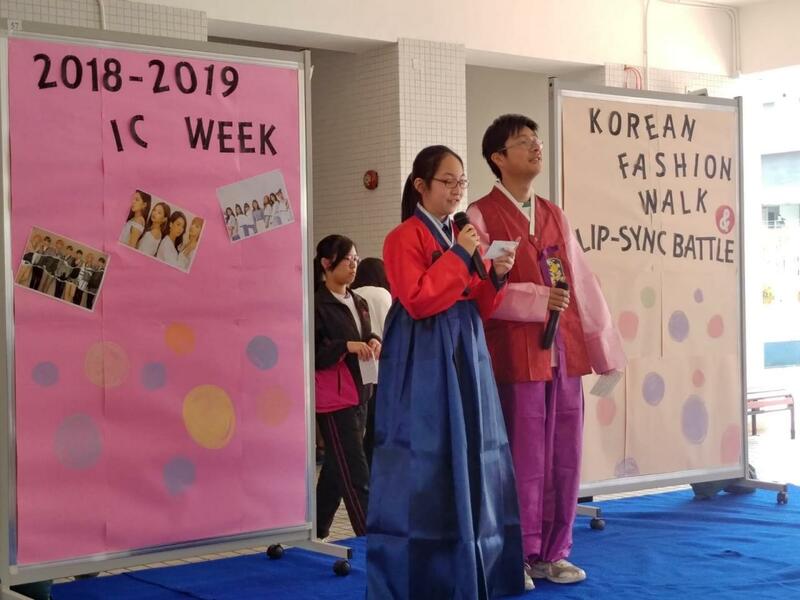 International Culture Week – Korean Culture was successfully held in the period of 18 March - 22 March 2019. 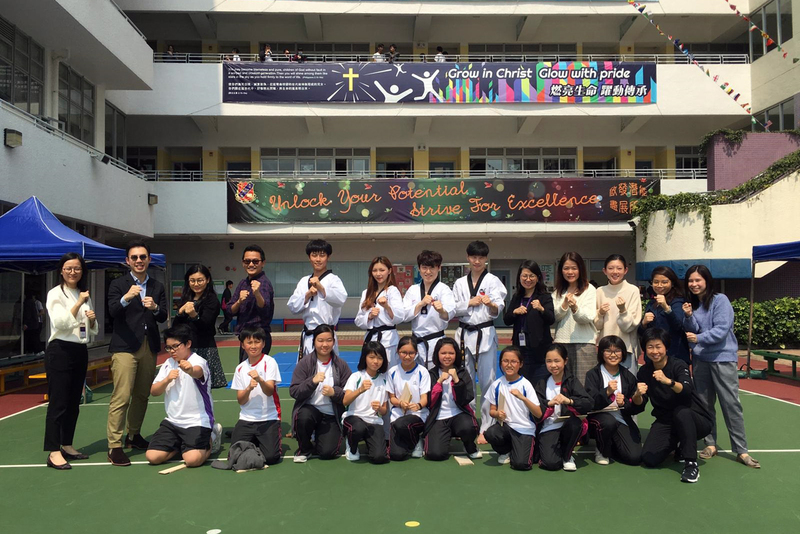 Students had the opportunity to explore the rich culture of Korea through games, sports, food, and performances. 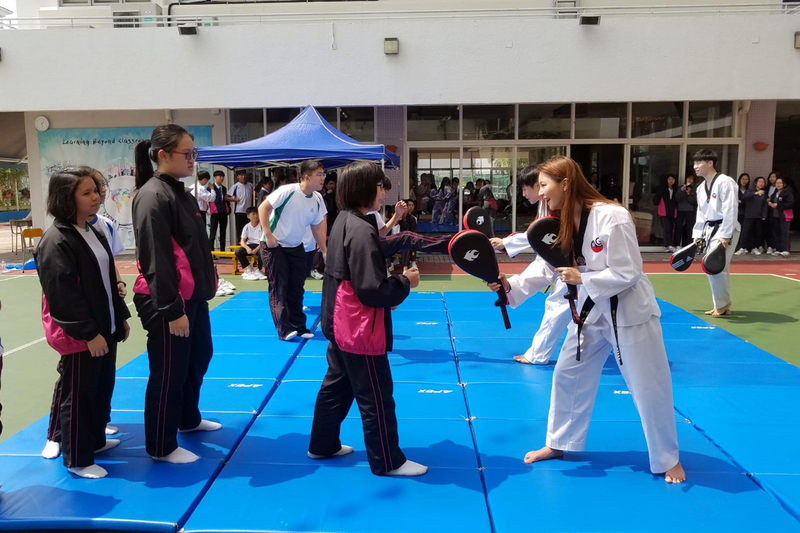 There were many activities and displays at lunchtimes and in assemblies, including game booths, a Taekwondo demonstration, a kimbap design competition, a fashion show, a K-pop dance competition. 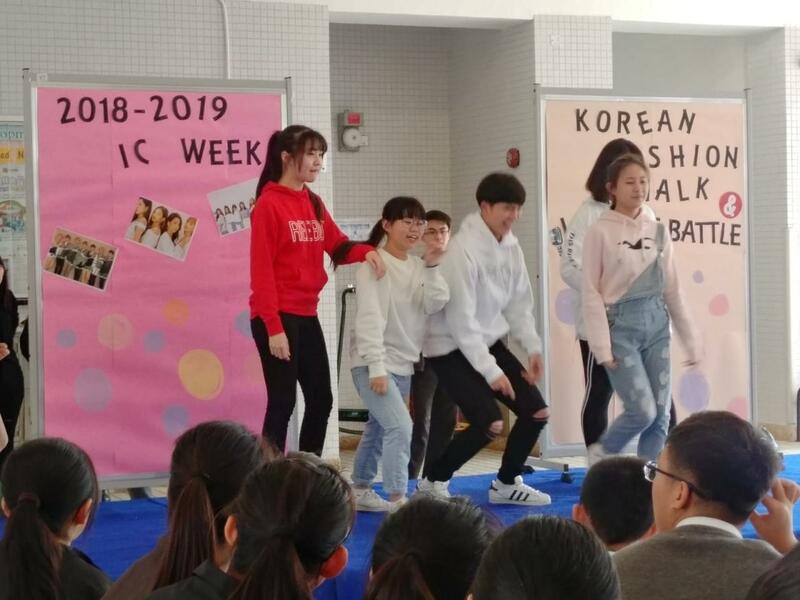 On the first day of International Culture week, our students and teachers enjoyed games inspired by the hit Korean game show Running Man. 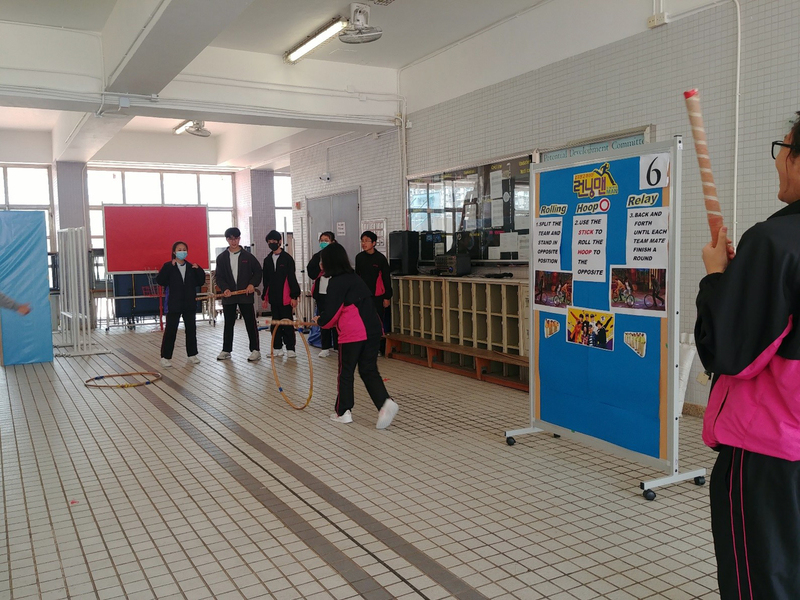 Six teams made up of teachers and students fought to be the first to finish all the challenges including Ten Heart Gestures, Korean Whisper, Tuhu, Gongo, Korean Chopsticks, and Relay Rolling Hoop. All the participants could experience how to work together and encourage each other to do their best. What an exciting event full of joy (and sweat)! 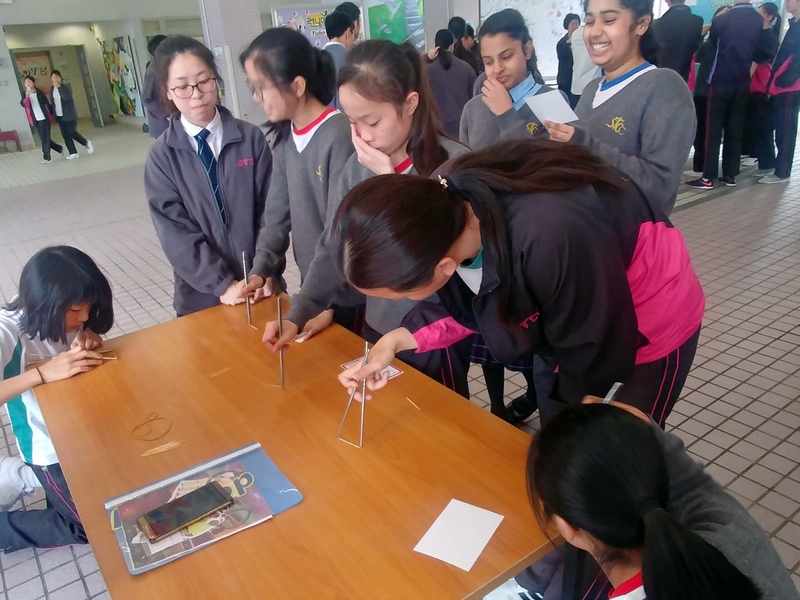 Students attempt to pick up toothpicks using chopsticks. 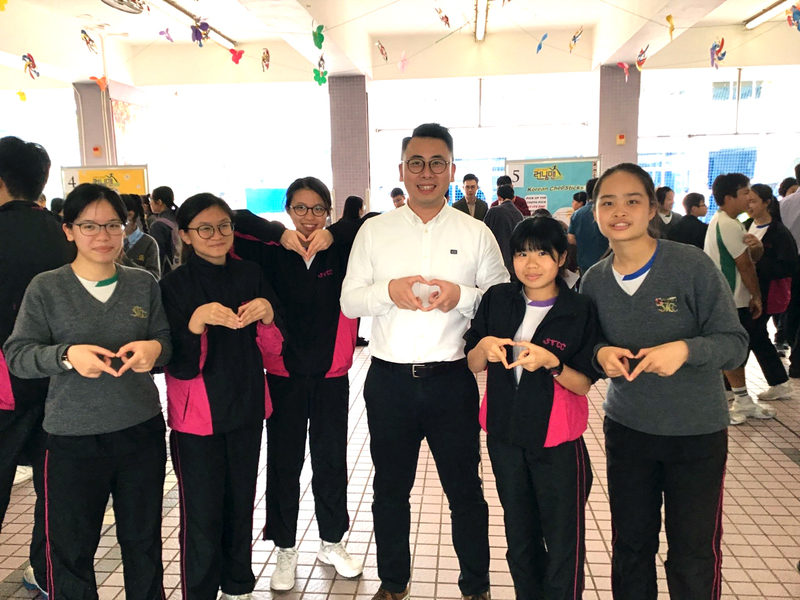 Mr. Wayn Wong and some lovely students share some love. 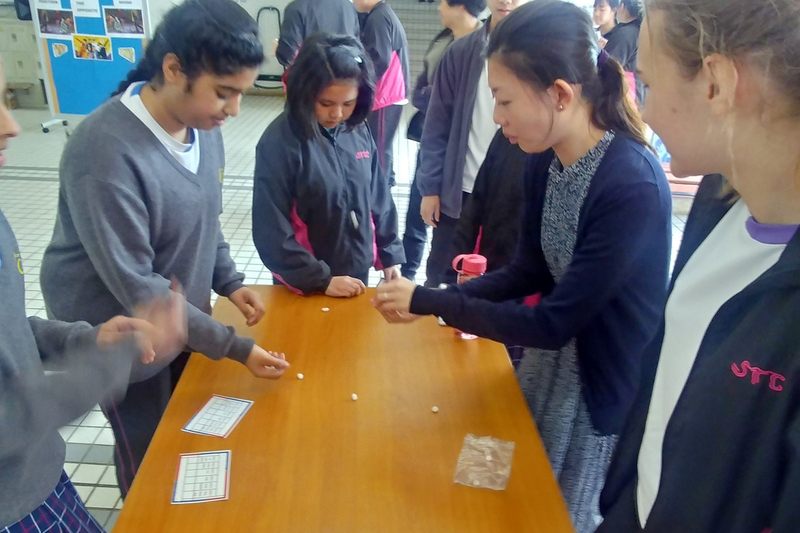 Ms. Florence Au demonstrates to the students how to play the challenging game of Gonggi. Rolling hoops with a stick is more difficult than it looks! Have you ever thought that you can break a piece of wood barefoot? Or you can practice the striking techniques of Taekwondo and enjoy K-pop music at the same time? Master Nae No and his students, from NRG Taekwondo Korea were invited to be the guests of our event. 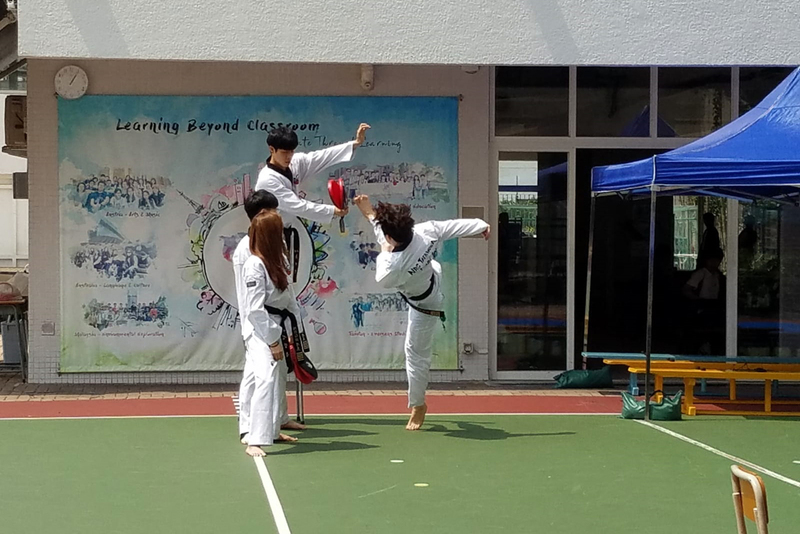 They not only demonstrated the powerful head-height kicks, jumping, spinning kicks, and fast kicking techniques, but showed us how Taekwondo could be in combination with K-pop music. Our students were even coached by our guests to learn some basic striking and defensing skills of Taekwondo. It was such a great and wonderful opportunity for them! Master No demonstrates the powerful head-height kicks. Our students are learning the defensing skills. 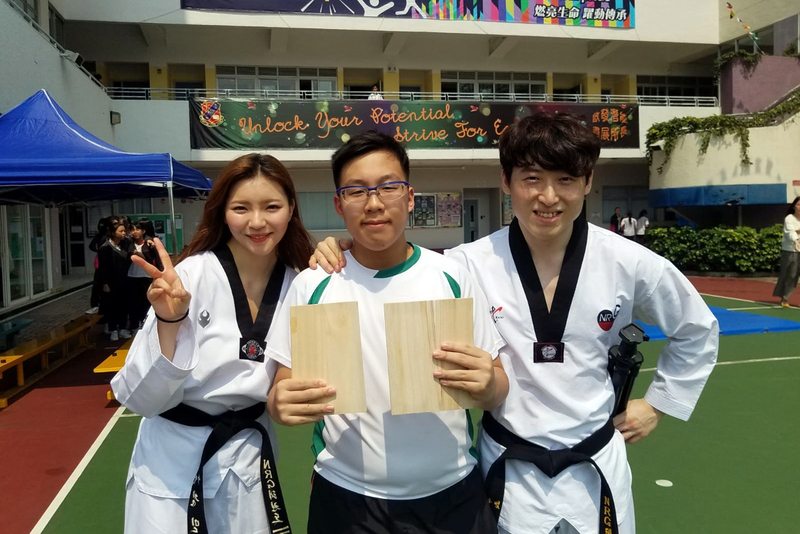 Our student, Parco Chung, breaks the board successfully! See how satisfied he is! We are all ‘fighters’ now! 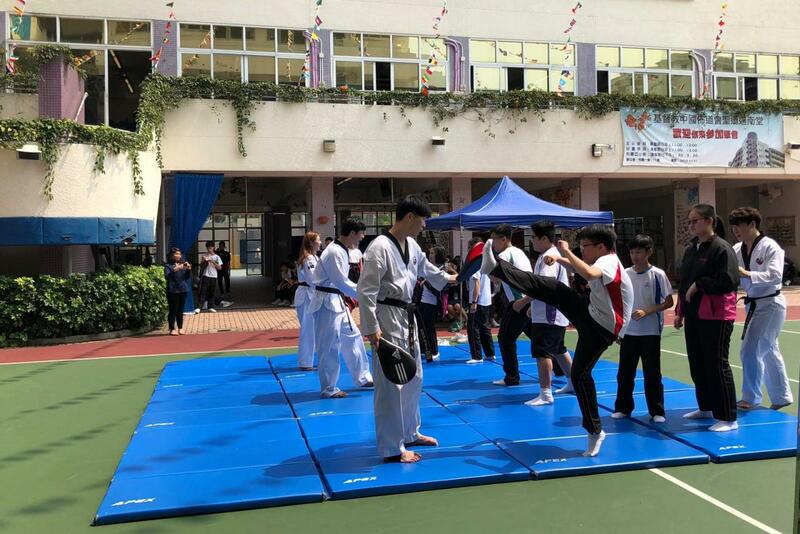 It seems that our students can master the technique of fast kicking quite well. How much do you like Korean cuisine? Does the smell of kimchi, kimbap, and Korean barbecue make your mouth water? 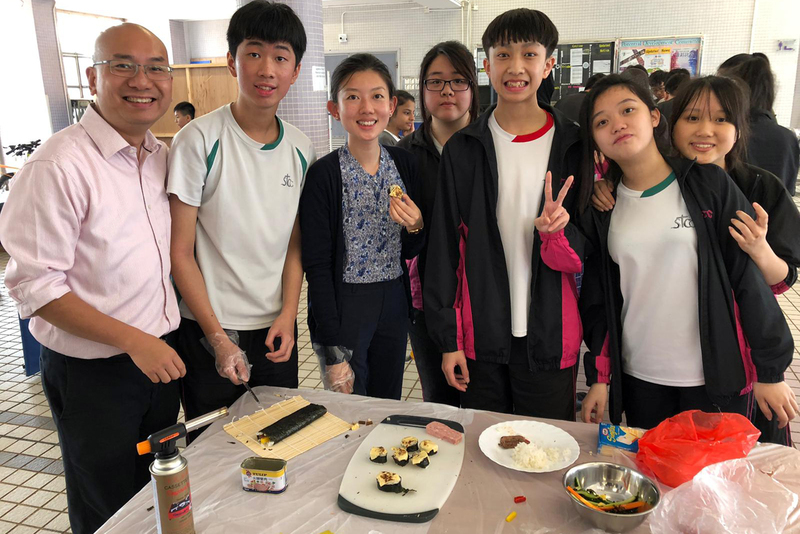 We were very fortunate to have Miss Sarah Jun and Miss Hailey as our guests of honour to prepare some delectable homemade kimbap and kimchi for sale, in which the proceeds go to the charity Save the Children. 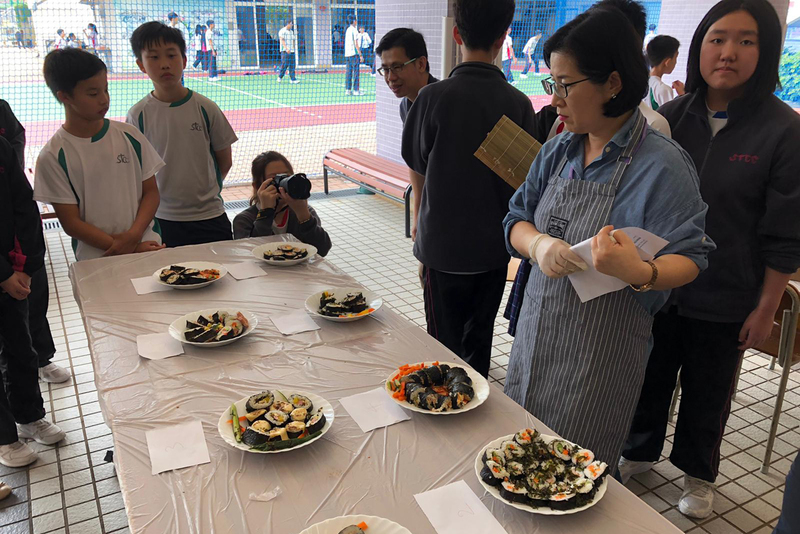 Miss Sarah Jun and Miss Hailey also taught our students and teachers how to make kimbap, as well as judge our kimbap-making competition. 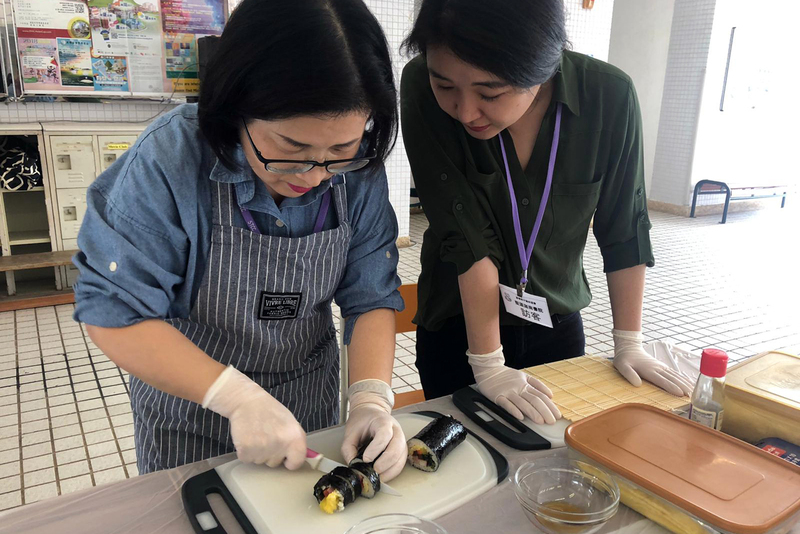 Our students and teachers cheered each other on as they put their culinary abilities to the test by putting ingredients together and rollling out some appetizing kimbap. It was truly a great day with stomachs filled with yummy food! 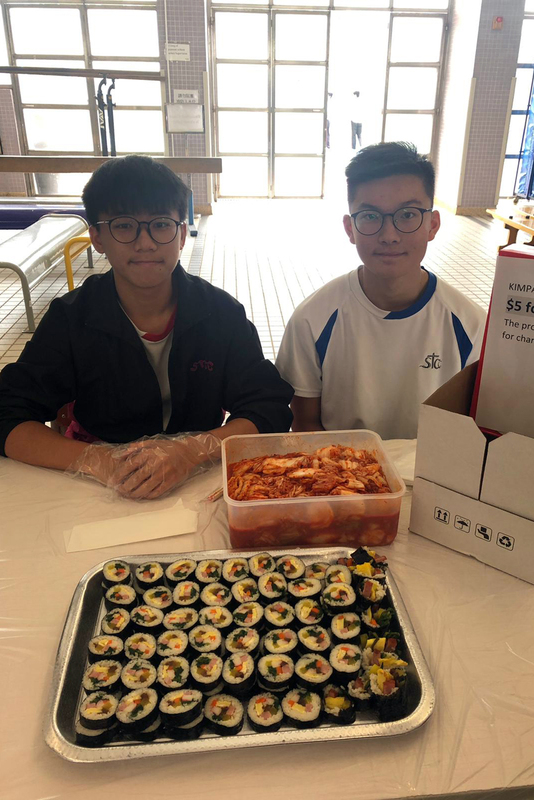 Selling kimbap and kimchi for charity. Miss Sarah Jun and Miss Hailey preparing delicious kimbap. All smiles for tasty food (topped with melted cheese)! Miss Sarah Jun judging the final products from different teams. Do you know anything about Hanbok? Are you the devoted fans of the popular K-pop stars? Have you ever thought that you can be a model on the runway? 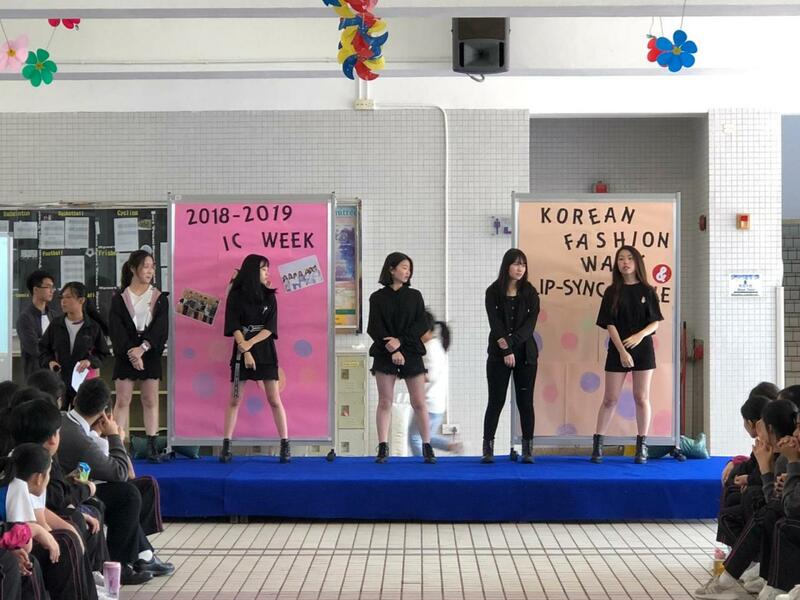 On 21st March, about a hundred students and teachers enjoyed a lunch break full of excitement – Korean Fashion Show. 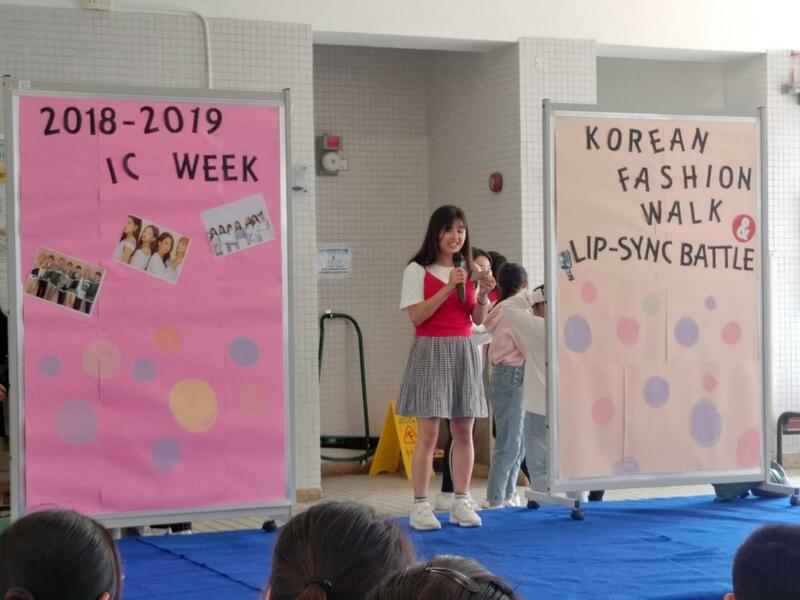 Before the fashion show began, our students had been tested to see how familiar they were with their favourite K-pop idols. Of course, they are all devoted fans of their idols! After the K-pop Idol Quiz, the noise among the crowd got faded. It was the time for the moment to begin! Our students, Zachary (3 Faith) and Enena (1 Faith) wearing the traditional Hanboks, gave a brief description of their Hanboks on the stage and started the cat-walk on the ramp. Our models from both junior and senior forms, dressing in over-sized pull-overs, sweat pants, ripped denim, A-line skirts, the trendiest K-pop fashion, you name it, then walked the ramp with pride and charisma. The audience couldn’t help cheering, clapping and singing along with the K-pop songs! The show was a great success! 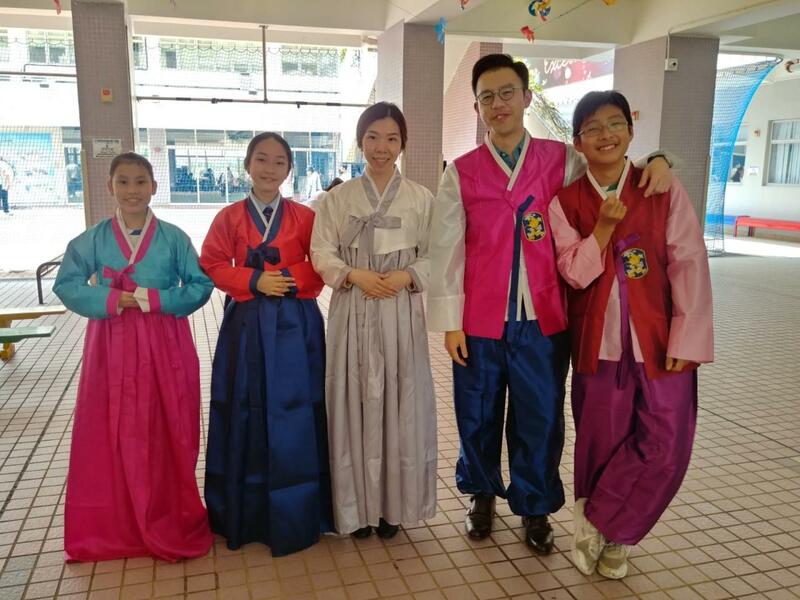 Our students were also given a chance to try on the traditional Hanboks and took an instant photo with their friends after the show. The event was definitely one of the highlights in our International Culture Week. Enena (1 Faith) and Zachary (3 Faith) are dressing in the traditional Hanboks. Quevia (3 Faith), Cherie (4 Faith), Belle (4 Love), Natalie (5 Hope), Hei Yin (5 Hope) not only strut on the runway, but dance along with the K-pop music. Ceci Chan (2 Faith) is dressing in the latest modern everyday look of Korean girls! 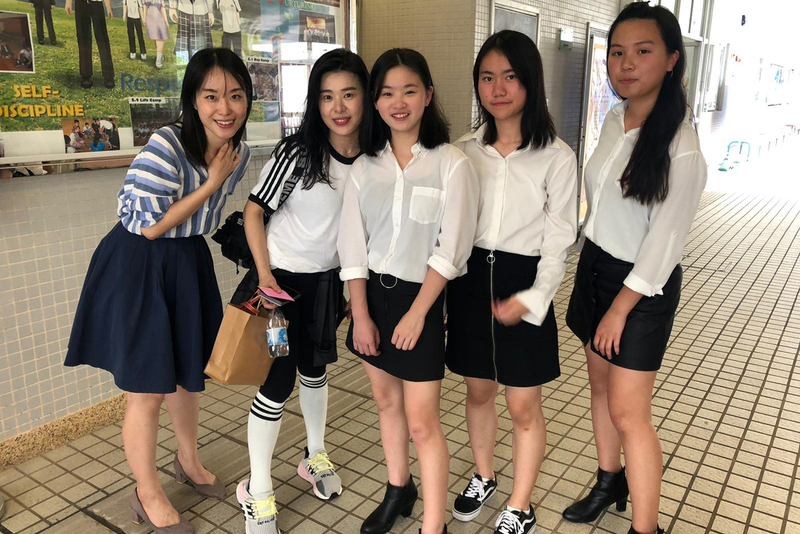 Our students and English teachers look like a big happy “Korean family”! 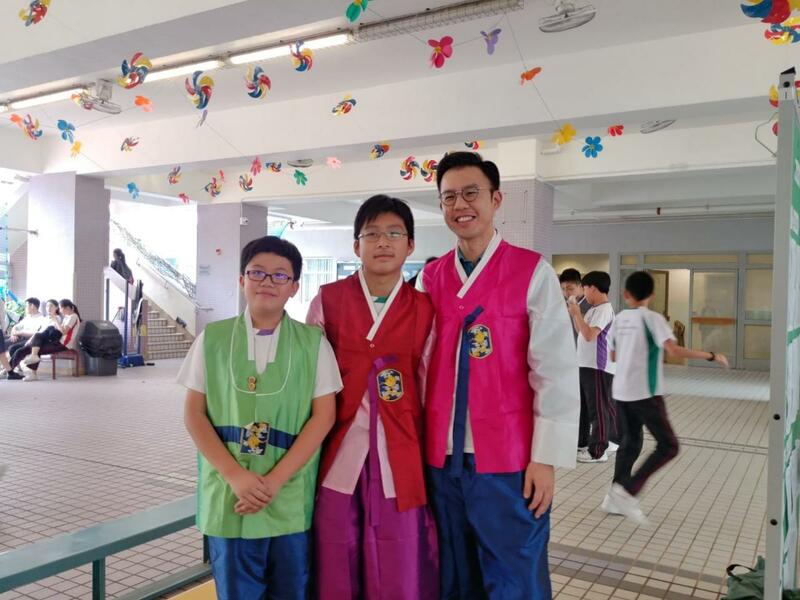 Our students can wear the traditional Hanboks and take an instant photo with their friends. Karina (1 Faith) is carrying the cool Korean street look – a demin jacket with jeans. Do you like their hip-hop outfits and can you feel how energetic they are? They are Alison (3 Hope), Sweetly (3 Hope), Miley (3 Hope), Ho Wun (3 Faith) and Jaydon (3 Faith). 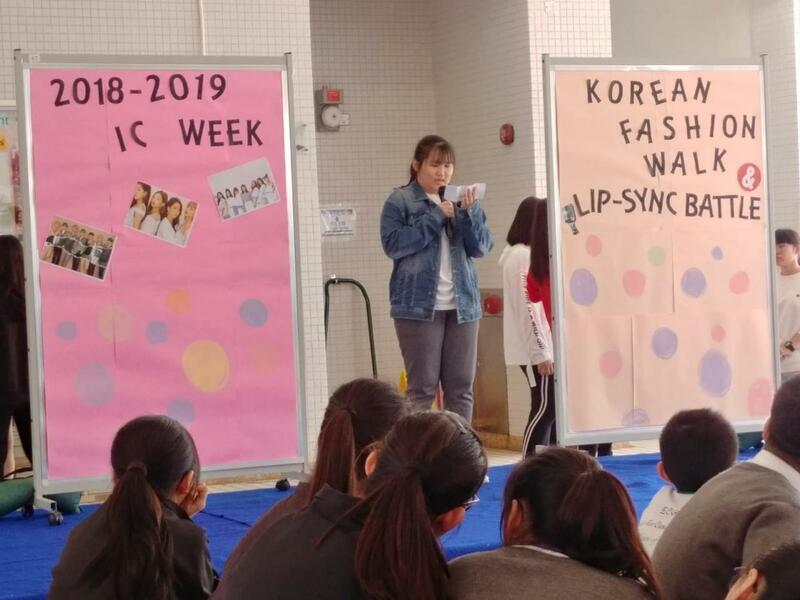 BTS, Blackpink, Got7, Twice…if you have heard of, or are even huge fans of these K-pop groups, you would have truly enjoyed the event on the final day of our IC Week! During the assembly, students showed off their dancing abilities to the whole school. It was like watching a K-pop concert, as each individual or team moved to the music, with facials matching the songs. 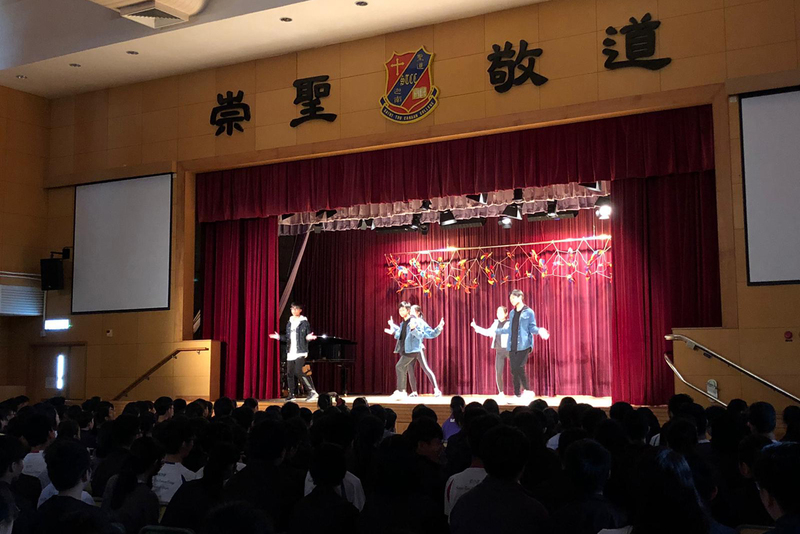 It is no easy feat to dance in front of the whole school, but the competitors were able to get the entire school body entertained! Afterwards, a special judge, a Korean choreographer Miss Rani, gave a great performance, which really was a nice closing to our IC Week. 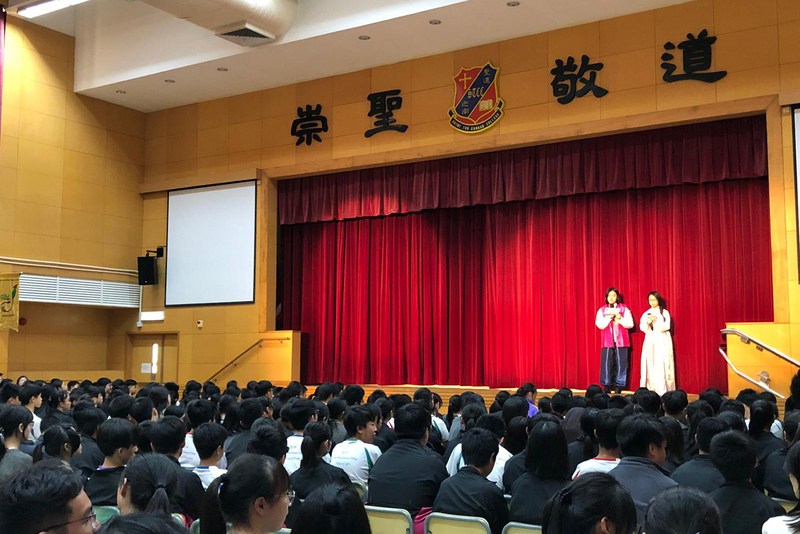 Everyone is waiting patiently as our MCs Dora Cheng and Natalie Leung gets the school hyped up for the dance show. Wonderfully clad in denim, a team of Form 2 boys and girls are moving in sync as the audience cheered on. 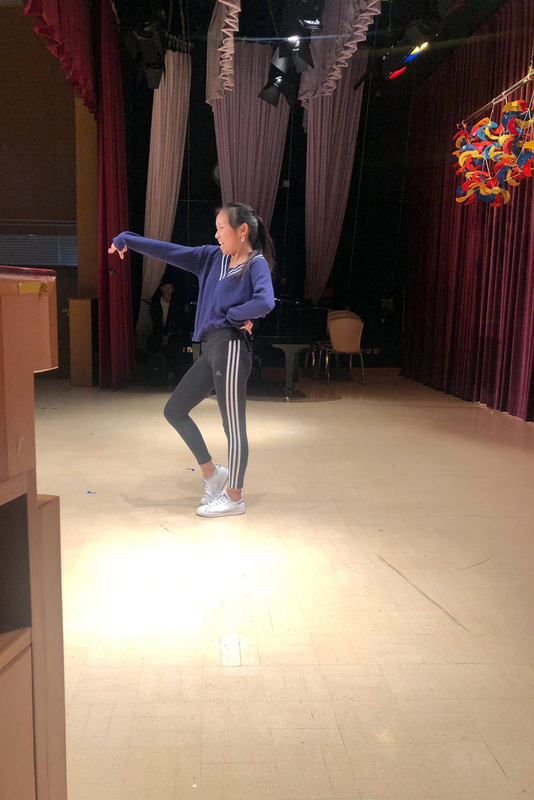 Janice Ko from 2 Honesty dances for the second time after being announced the best dancer. Special guest Miss Rani poses with Miss Yan Lam and the winners for best team composed of form 4 girls Chloe Hou, Betsy Yu, and Miko Liu.